Long ago I had to ask how to ship cookies. I was shipping cookies quite often to people out of state and my son who was in the military. Cookies are such a personal gift to send to loved ones away from home. They often bring back the wonderful memories of home to those serving in other countries with the military. When you go to all the effort of baking and adding your tender loving care to the process, you want them to arrive in that perfect freshly baked quality. The first thing is to find recipes that travel well; some are much better than others. How do you know what cookies to ship? Without giving a lot of thought to how to ship cookies, I learned the hard way that all cookie recipes are not for shipping. Selecting the recipes with care is the first step to preventing a major shipping catastrophe. Many of the cookies that I make (and did ship) were stale and crumbly by the time they reached their destination. Most bar cookies like brownies, nut bars, gingerbread bars and fruitcake bars ship very well. Drop cookies, even the sugar drop cookies ship well but don’t waste your time decorating fancy rolled sugar cookies to mail. Any of the heavy butter cookies are a NO NO! I found that drier cookies with oatmeal and dried fruits did ship well and were still fresh upon arrival. They even taste better as they age. After you select the recipes you want and you get them made, the next important step is the packaging. Even the best recipes will not endure the trip if they are not packed correctly. You must have very sturdy containers! The boxes must be heavier than ordinary cardboard. Packing in shortening or coffee cans and then placing them in boxes seems to work well. Be sure to pack boxes around the cans with shredded or crumbled paper allowing no movement. With wax paper or plastic wrap, wrap each cookie separately or wrap two of them placing bottom to bottom. (Even if packing in cans first-leave no jiggle room). Make a layer of filler in the bottom of the box. Cover the filler with foil, wax paper or the like to prevent cookies from falling down in the filler. Make a layer of wrapped cookies on the top, placing close together on the paper or foil. Continue alternating a good layer of filler and then a layer of the cookies. Make sure the top is full of filler (should be completely full-you have to press down to close the lid) to pad the cookies. If you are just learning how to ship cookies, the following is some of the best advice I can give you. Now, after all this effort of preparing your cookies for shipping, make sure you enclose a card to say who it is from and above all, HAVE THE CORRECT ADDRESS. Whenever I ship a package, I make sure the address is written very clearly with black permanent ink. I mark the box PERISHABLE AND FRAGILE in large print. Then I cover the entire shipping address and my return address with wide transparent scotch tape. (I do not run the tape over the postage area; that is for the postage). When it is ready to ship, I take it into the postal office and have them weigh it. I pay a little extra so I can track it. Now the post office is responsible! I have never had it go wrong. Sift flour, sugar, baking powder, salt, and nutmeg. Add the shortening, eggs, orange rind and orange juice. Mix well and stir in the rolled oats. Drop level tablespoons of cookie dough onto a lightly greased cookie sheet about 2 inches apart. To know how to ship cookies, one must know the best storing cookies. The following recipe is a good shipping cookies recipe. Mix shortening, sugar and eggs and blend well. Sift the flour, soda and salt; blend into the creamed mixture. Stir in the cherries, dates and pecans; chill for 1 hour. Drop rounded teaspoonfuls onto a lightly greased cookie sheet. If you love chocolate and you want to know how to make brownies with different “twists”, try this recipe for Hawaiian bars. These are so delicious with the coconut and macadamia nuts added. If you want to know how to ship cookies this is a great recipe to use. Melt chocolate and butter in heavy saucepan over low heat; cool. Beat eggs on medium speed until foamy gradually adding sugar, vanilla and cooled chocolate mixture. 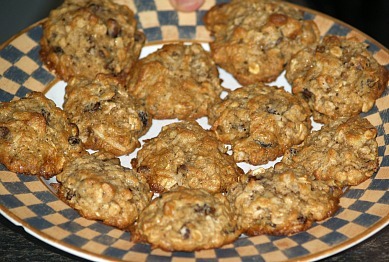 Add flour and mix well; stir in half each of nuts, coconut and chocolate chips. Spoon batter into greased 9 X 13 inch baking pan. Sprinkle top with remaining nuts, coconut and chocolate chips. Bake in preheated oven at 350F degrees for 25 minutes; cool completely in pan on rack. Learn how to ship cookies! Cookies make great gifts and the lift the receivers spirits.